I am sick of “winter precipitation” — or any other precipitation for that matter — making it uncomfortable to get to my truck. It starts my day off on the wrong foot and I’ve already got two left ones! 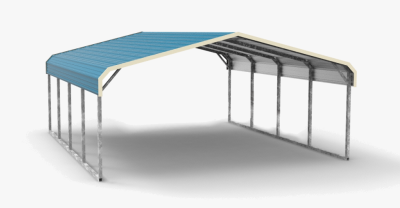 I’ve been looking at these affordable metal carports and they say that they are rated to hold up to 65 pounds of snow per square foot. That means that even if I have to shovel a path to my truck, I don’t have to dig it out anymore. The vertical style roof lets that snow swoop right off the side anyhow. I’m thinking if I get two side walls, it isn’t much more and will provide my truck a nice little shelter from all sorts of weather and then in the summer, I can park the boat under it. 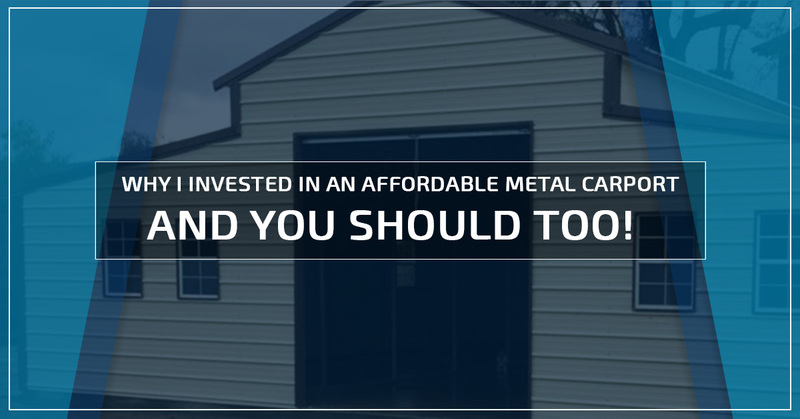 These metal carports are really affordable — if I get one of them instead of building a garage, I can afford that snow plow I’ve had my eyes on and double up on my battle with winter weather. Not only is the initial investment lower than any of the other options I’ve looked at, the long-term return on investment is high. Galvanized steel has a really long life expectancy — much longer than I’ll be around for. 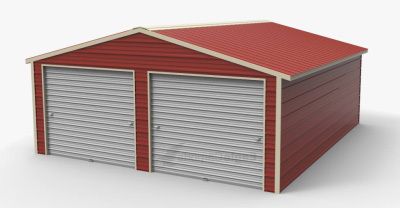 The metal buildings require much less maintenance than the wooden shed I built in the backyard, so I won’t have to keep shelling out money over time to keep it keeping the weather out. Not to mention I found affordable metal carports at wholesale prices at Wholesale Direct Carports of Michigan. They also offer free installation and delivery, along with a 20-year rust through warranty and one-year craftsmanship warranty, so I can sit inside with hot coffee and the professionals handle it. 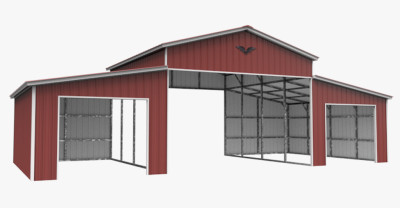 I always thought of carports as some ugly metal roof covering my truck, which I wouldn’t give two hoots about, but the old lady won’t let me put “anything ugly” in front of the house. These metal carports, however, are an upgrade from my daddy’s day. All of the steel can be color matched to the house so they don’t stand out at some awkward metal building. I like the look of the gabled ends as well that add a little class as well as a place to hang my Notre Dame sign. I dislike throwing my hard-earned money away wiley-niley, almost as much as I hate “winter precipitation,” so these affordable metal carports seem like a great option. Be smart, like me, and give those guys over at Wholesale Direct Carports a call. They are professional, friendly, and they helped me customize my metal carport for a very affordable price. It should be delivered and installed soon!